My Gourmet Escape experience included beer made with roasted agave, a golden ale to celebrate a brewery’s 20th anniversary and the unleashing of the south west’s first canned beer. It’s no wonder I didn’t have a single sip of wine the entire Saturday I was at Gourmet Escape. The Gourmet Village continues to be the main event of the three day festival and was again held at Leeuwin Estate Winery. On top of this there are a growing number of satellite events across the whole weekend featuring celebrity chefs, stunning locations and unique dining experiences. 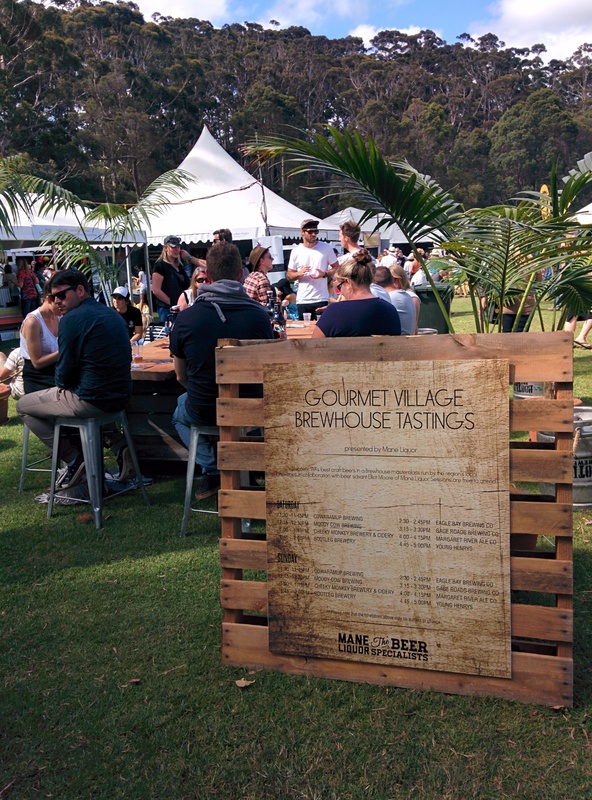 A new addition to the Gourmet Village this year was the Gourmet Village Brewhouse, a dedicated local brewery destination featuring Cheeky Monkey, Eagle Bay, Bootleg, Cowaramup, Gage Roads, Moody Cow, Margaret River Ale Co and the newest south west brewery Young Henry’s. This collaboration brew with the head chef at El Publico Sam Ward which takes his authentic Mexican flare and applies to beautifully to the world of beer. 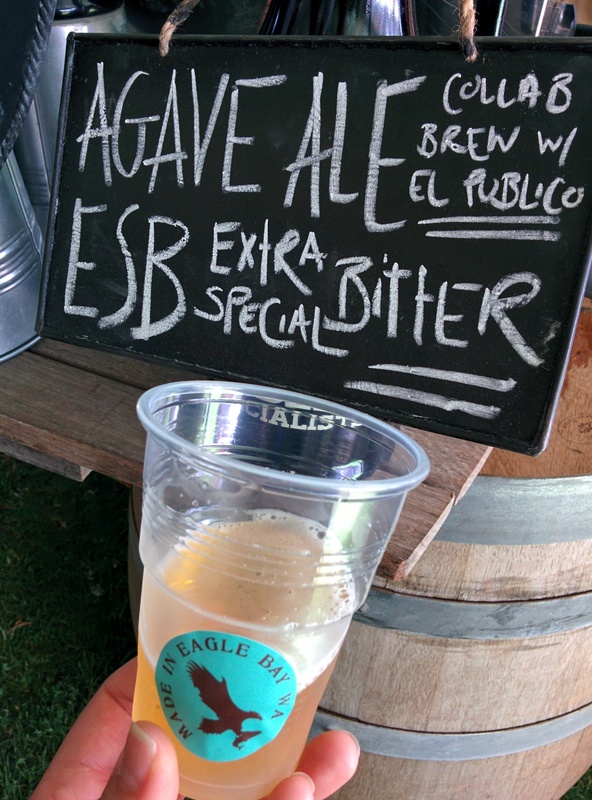 The Eagle Bay Brewing kitchen slow roasted agave for 10 hours before it was added to the mash. You can read more from the brew day here. “It keeps changing every day!” Margi, Eagle Bay’s retail and marketing manager, said to me at Gourmet Escape. For me it was full of spice and herbs, showed a little stone fruit up front and then finished very dry. It is great to see a collaboration outside the norm of breweries and brewers, one that bought together two passionate people in different fields of flavour and one that showcases the result of this at a predominately wine/chef focused event. It’s incredible to think Bootleg have been around for two decades, that kids are going there because they remember being their with their dad. 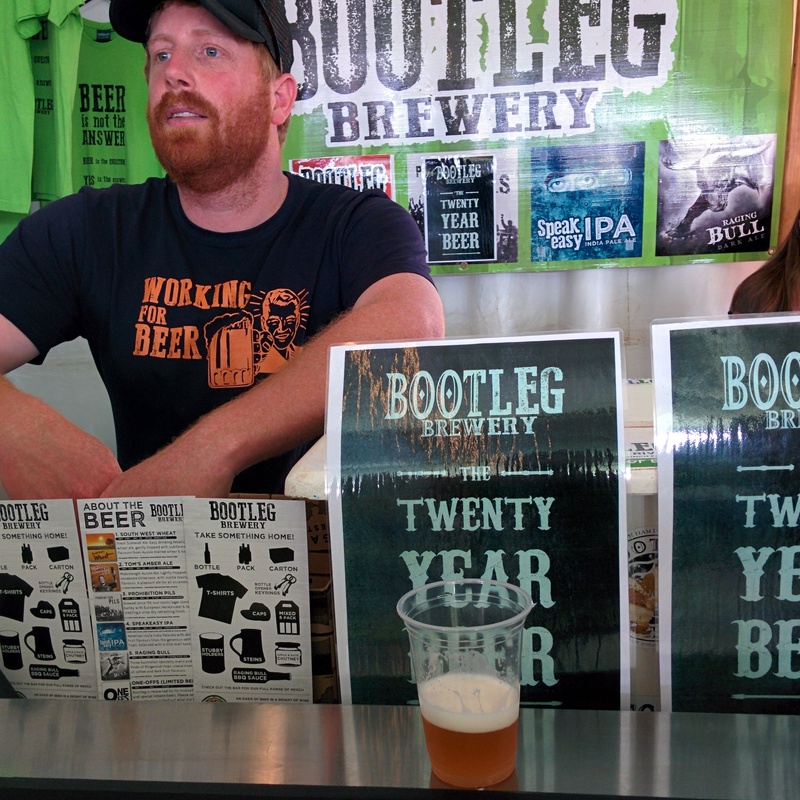 To celebrate their milestone Bootleg brewers past and present gathered to create a golden ale using five kilos of Enigma hops. The last time we saw Enigma hops from Bootleg was for their fabulous collaboration with Mane Liquor to create Ryezilla. At this stage the beer is only available at the brewery, whether it lasts through summer is uncertain so I’d get in quickly to avoid disappointment! I found this golden ale really interesting and had more balls than you may expect from a golden ale. The hop flavour is all upfront with a nice tropical fruit in the middle and a dry finish. Yup. Cans. That’s right. Mother-freakin-cans. It was hard not to notice all the happy people walking around the Gourmet Escape Village with the distinctive red and white cans. 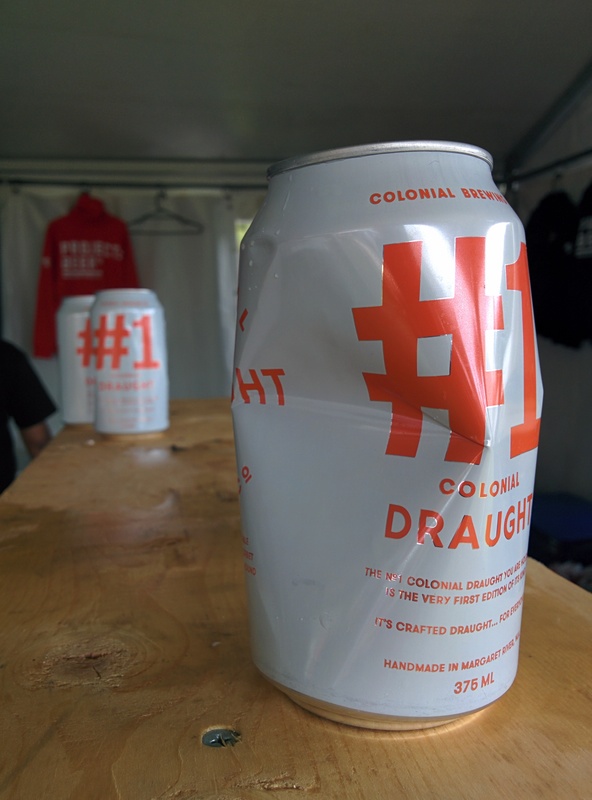 I wrote an article for Crafty Pint that you can read here – the Draught Kolsch Ale is still the same Colonial Kolsch we all know and love, just renamed to remain relevant to the every day drinker and to call out to the days of beer drinking past where “a jug of super thanks” was a legitimate way to order beer. Now it’s “a few cans of draught thanks” and what a great beer drinking world that is. 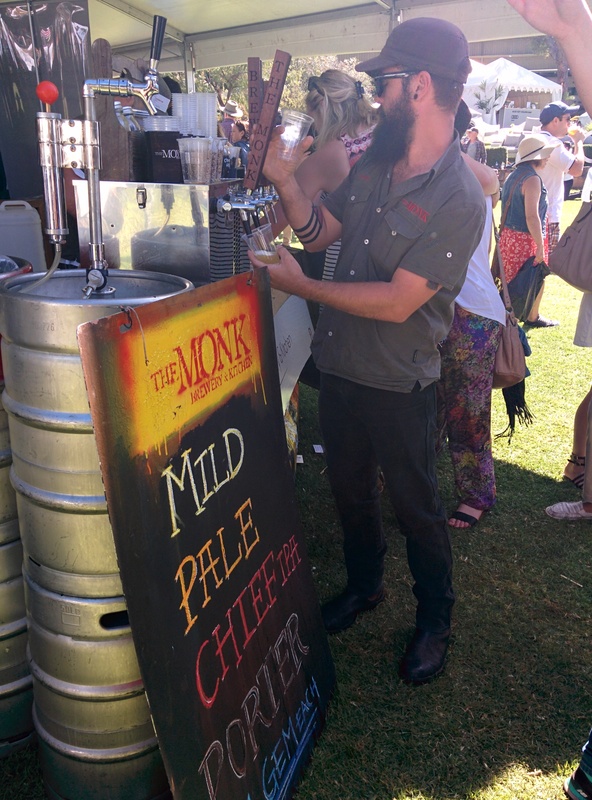 Other highlights of the day included tasty pulled pork tortillas by Muster Bar & Grill, the Chief IPA from The Monk Brewery & Kitchen tasting delicious and the discovery of a new jerky called Chewy Mooey.